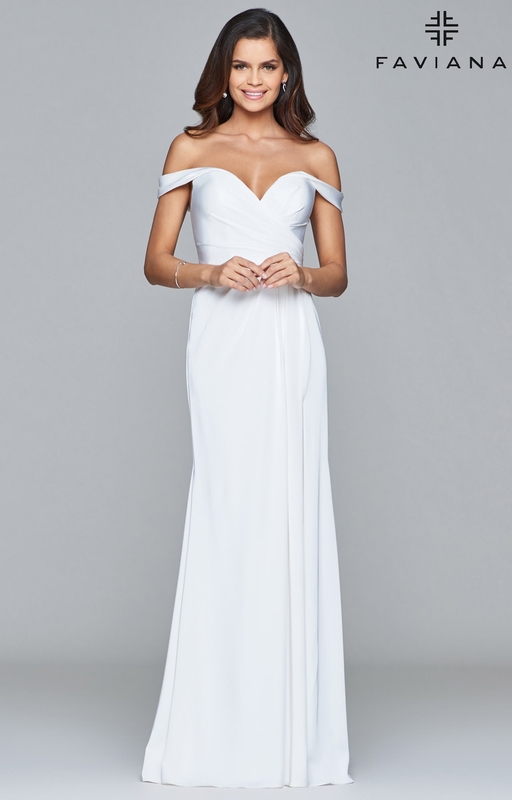 This Faviana 8083 is giving us Grace Kelly vibes! The dress has an old Hollywood feel with the sweetheart neckline and off the shoulder sleeves. The bodice is simple and fitted with an A-line skirt that flows to the ground. The skirt has a high slit so you can show off your elegant shoes too!